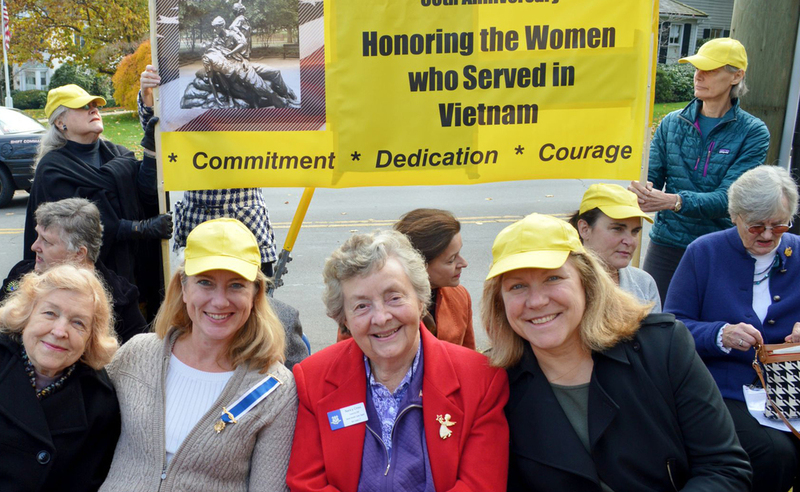 The Hannah Benedict Carter Chapter is richly involved in the fabric of the New Canaan community. . .
Hannah Benedict Carter Chapter volunteer activities include restocking the New Canaan Food Pantry, placing American flags and holiday wreaths on veterans' grave sites at Lakeview Cemetery, bestowing our yearly Community Service Award on deserving local volunteers and visiting the residents at Waveny Care Center. These are a few of the many endeavors that our members engage in throughout the year. Our chapter meets on the second Thursday of each month, September through June. We vary meeting times to accommodate working members. Our chapter members are working women, stay-at-home moms, retirees, high school and college students who are age eighteen and older, and young women advancing in the early stages of their careers. Our members currently hail from New Canaan, Wilton, Stamford, Westport and from over the state line in Pound Ridge and South Salem, New York. Prospective members are welcome at our chapter meetings by prior arrangement. The chapter membership chair will welcome you at the meeting, introduce you to chapter members, and answer any questions you might have.